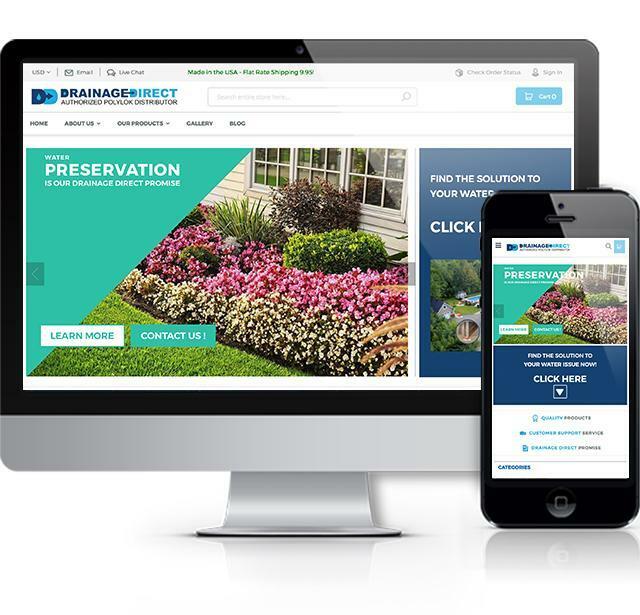 The owners of Drainage Direct, a company that supplies water management products to contractors and residential do-it-yourselfers, had recently launched their Magento 2 website when Harris Web Works (HWW) was contracted to take over hosting and site updates. Goals for the site were to maximize performance and uptime, work well with Google Shopping feeds, and make incremental improvements in functionality. This project makes use of a development site that mirrors the live site, enabling testing and review of changes before going live.